A virtual classroom project launched this month, connecting Elm Place Middle School in Highland Park, Illinois, to Los Volcanes School in Highland Park’s sister city Puerto Vallarta, in Mexico. 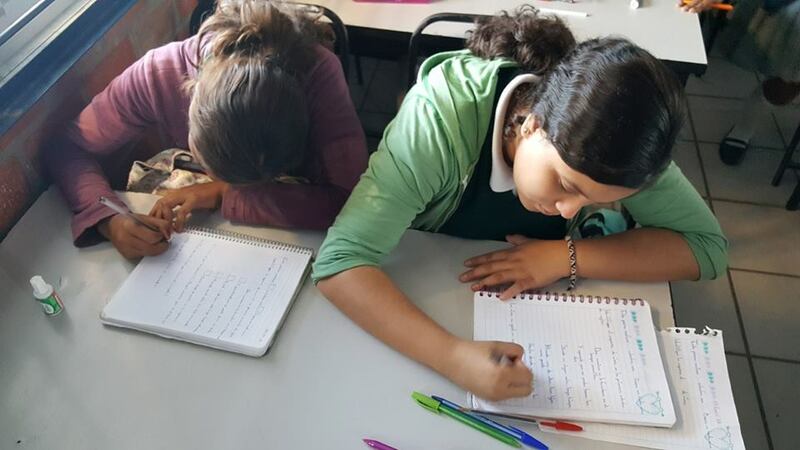 The joint effort of the Highland Park Sister Cities Foundation (HPSCF) and the Puerto Vallarta Sister Cities Committee connects the classes of Elm Place teacher Lori Wyatt and Los Volcanes teacher Raul Gibran through the study of poetry. Using a virtual platform called Edmodo, students will explore the values we share with people in other countries. The project also enables teachers in different cultures to collaborate and enrich their students’ learning experience. So far, the students have introduced themselves and begun their shared study of an American poem—Robert Frost’s “The Road Not Taken.” The students had the opportunity to share their insights and interpretations, and are looking forward to studying a work by a Mexican poet that Raul has shared. Highland Park is working on a similar “sister schools” project with sister city Modena, Italy, that will launch February 1st, 2018. A virtual classroom has been established between Maria Barbanente’s Italian language class at Highland Park High School and Lorena Valmori and Giulia Beghelli’s high school classrooms in Modena, Italy. HPSCF Board Member and poet, Emma Kowalenko, will facilitate the exchange at the high school level. Contributed by Carol Wolfe of the Highland Park Sister Cities Foundation. No Replies to "Virtual Classroom Links Schools in Highland Park and Puerto Vallarta and Modena through Poetry"